PDF is the file extension of choice when presenting important documents such as resumes, college papers, or any crucial final draft. However, if your colleague’s draft isn’t as finalized as it should be, you can have a hard time editing their work since PDFs can’t natively be edited. 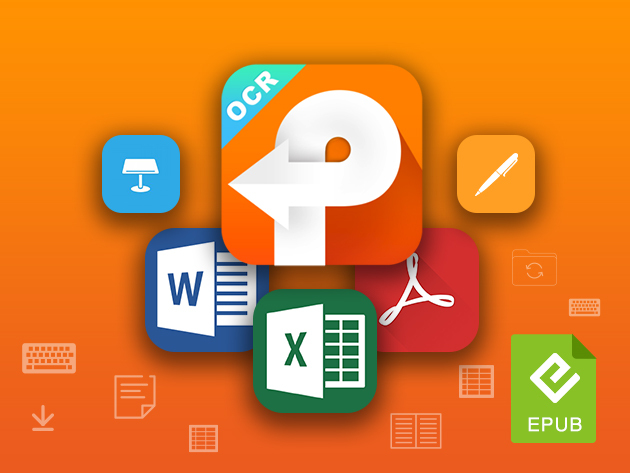 There are dozens of apps that let you edit PDFs, but if you’re looking for a robust program with additional features, PDF Converter OCR 6 is the ideal option for $19. PDF Converter OCR 6 for Mac not only makes it easy to edit text in PDFs. It also allows you to convert batches of over 200 PDFs at once. You can merge multiple documents at once, and even choose which pages from each document that you’d like merged into your PDF. Furthermore, PDF Converter allows you to scan PDF documents in 27 different languages. The best part about editing files through PDF Converter is that your documents will retain their layouts, graphics, and hyperlinks. If you work with a large volume of PDFs, a tool like PDF Converter OCR 6 is a necessity, and you can find it on sale in the Macworld Shop for $19, or 68% off.